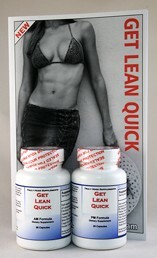 14 Day Fat Loss Click here! Hello, I've been trying to start running for a while but the pain has always demotivated me and I've stopped. Finally managed to carry on but I'm getting really bad pain in the middle of my shin that feels behind it. I'm not doing to much to soon and following a couch to 5k 9 week program. I have good quality running shoes and I found online some exercises for shin splints that I do before I go out which helped a bit but I'm still in agony! Would wearing support on my lower legs help or using a deep heat spray? That is one of the biggest problems with running, it is too high impact and your body ends up taking a pounding which causes shin splints and other injuries. The truth is that brisk walking is not only safer but it also burns more fat then running does.